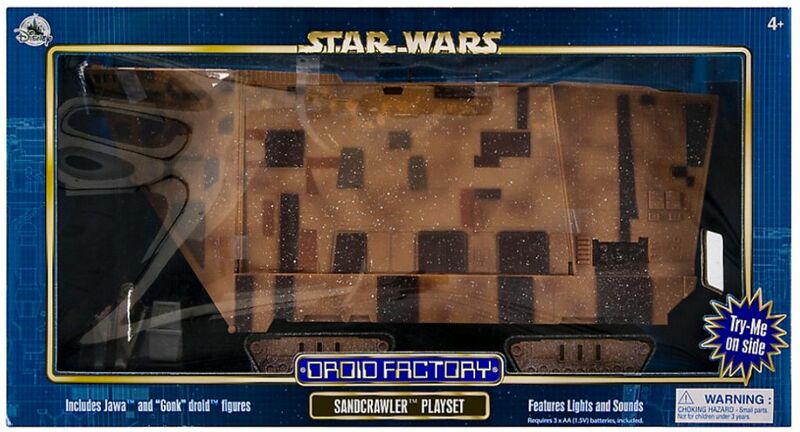 Over a year ago, at Celebration Orlando 2017, Disney announced a new Sandcrawler playset and now it’s being found at Disney World stores. 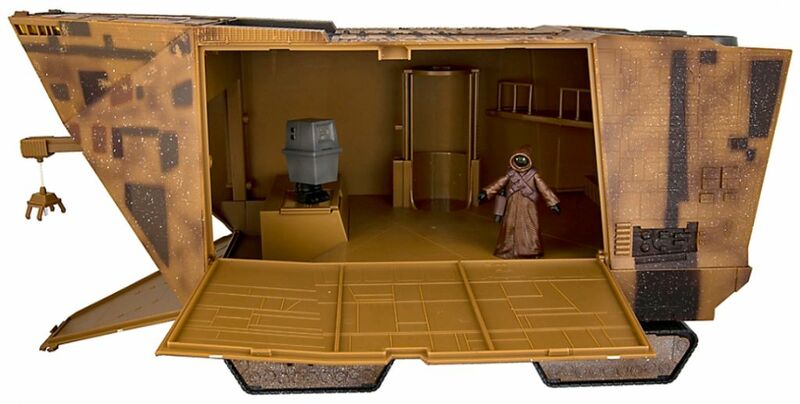 The large set includes a Jawa and GNK (Gonk) droid and had has sound effects, all for $99.99. 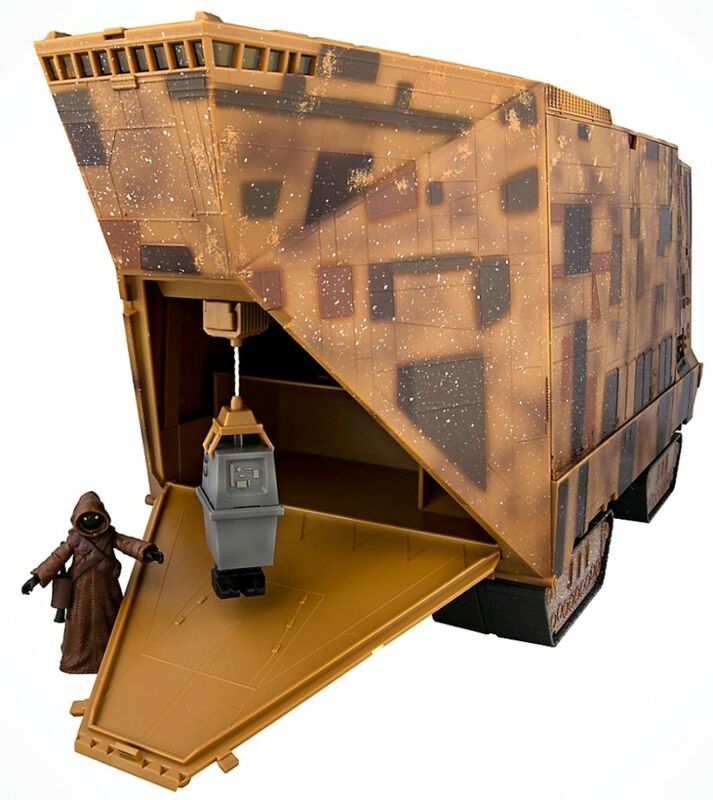 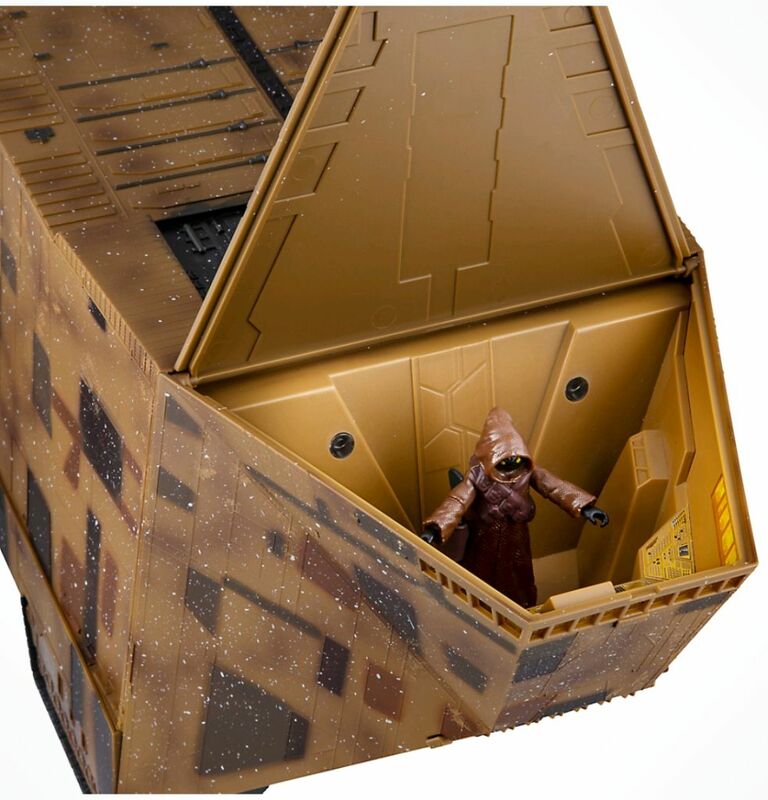 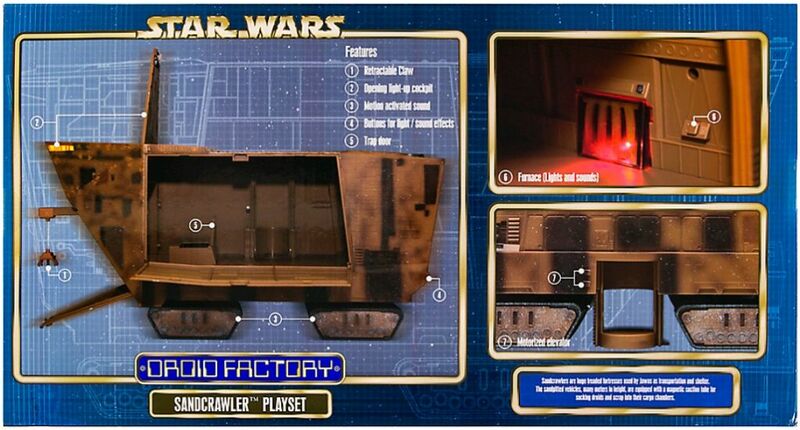 The Sandcrawler is larger than any that Hasbro has released and includes opening panels, a crane, and working elevator. 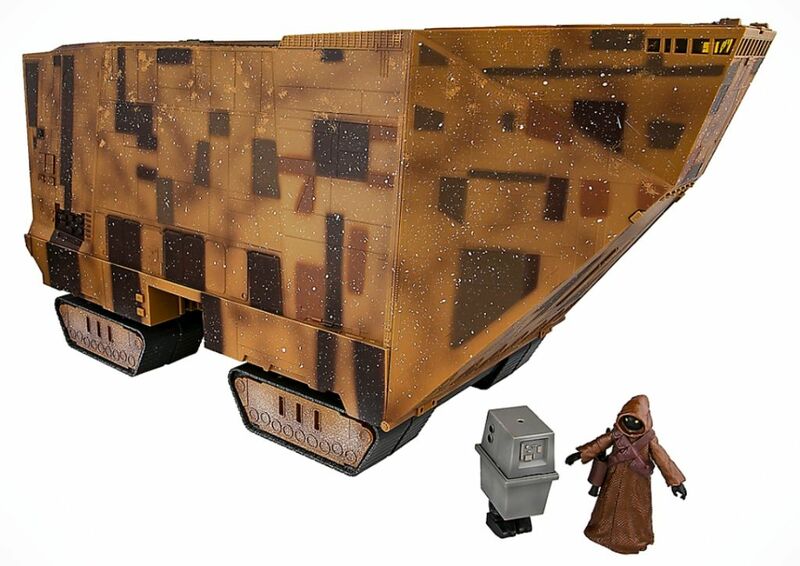 It’s showing up in the Disney Parks app now but showing “In Store Only” and out of stock. 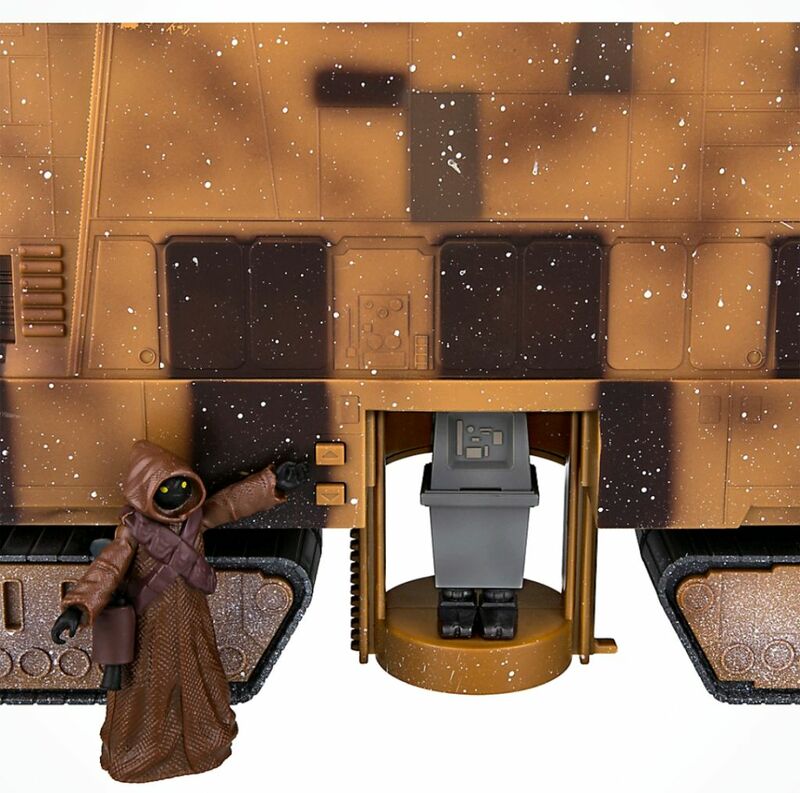 It’s not on the Shop Disney website but if you’re interested, we’d recommend keeping an eye on both spots.